Terry is a four year old Hermann's tortoise, I've owned him since he was ten months old. He was raised by an experienced, ethical breeder in Somerset. 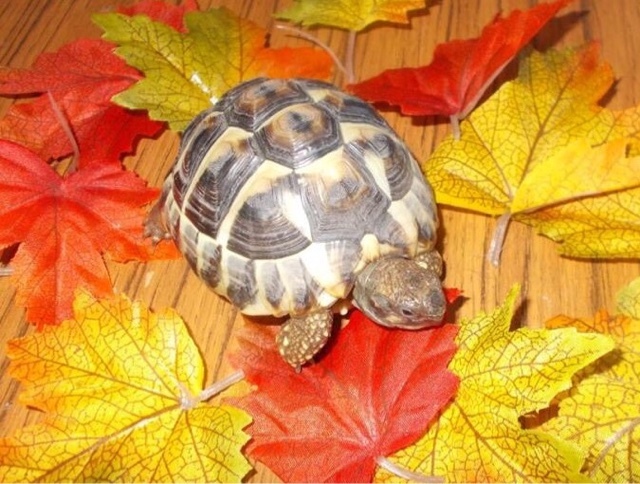 I rarely buy pets, I prefer to rescue, but after searching for a year I couldn't find a suitable tortoise to rehome so I took the plunge and got Terry. I'd been researching tortoises for a long time, which is important before getting any pet, but especially when getting an exotic pet. 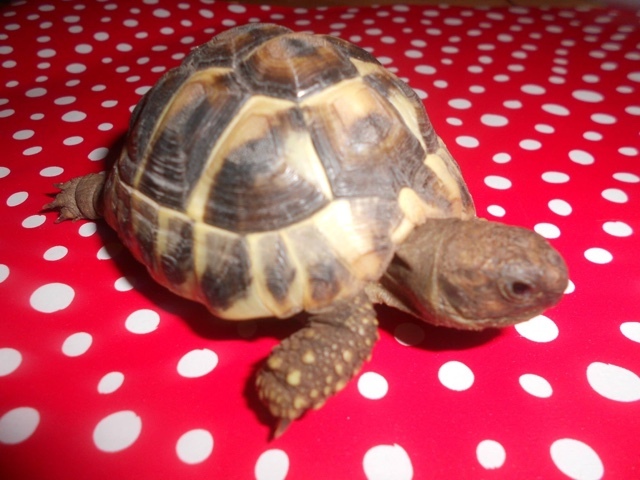 I choose Terry from a number of tortoises of the same age. I was instantly drawn to him because he was the more outgoing and confident one. He also had the prettiest shell markings, which I think look amazing. Terry is a fun pet, he has a great personality. You don't really associate tortoises with having big personalities, but Terry has. He's very cheeky and likes to get his own way. If his enclosure isn't arranged how he wants, he'll bulldozer his way through things to move them. And he doesn't go around plants and other decorations - he goes right over them! He is very friendly and will come to the side of his enclosure to greet you - especially if you have food in your hand! 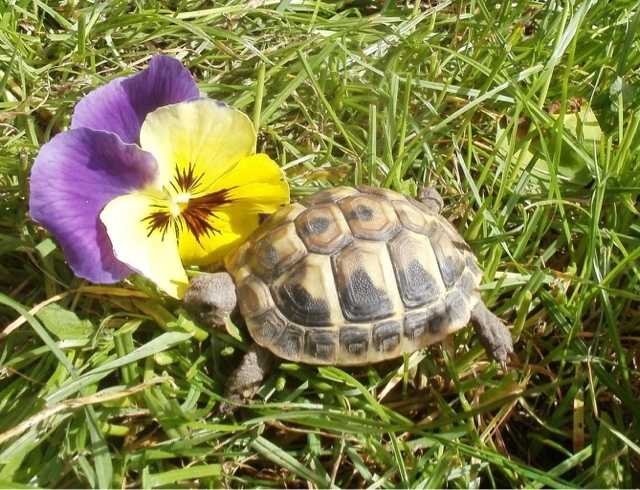 His favourite food is dandelion leaves - he doesn't like the flowers which is quite unusual. He can be a fussy boy at times!